Need to push a domain into another account? No problem! Next, let’s check to make sure your domain is ready to be transferred. Update the contact information for the domain to reflect the new registrant, if applicable. 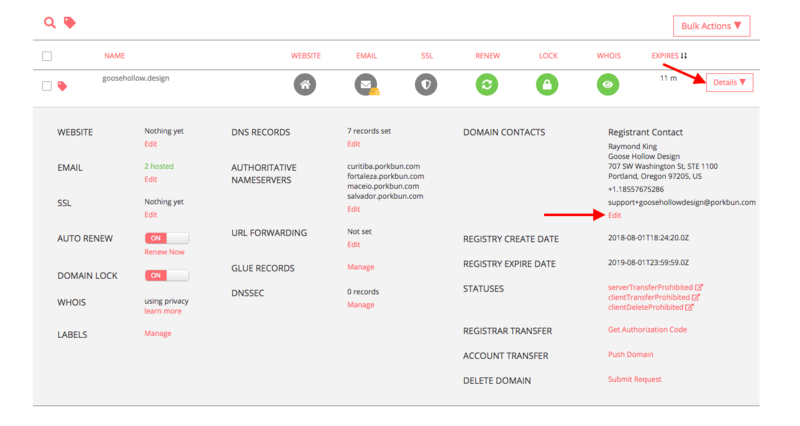 The push process will not automatically update the domain contact information, so you must change it before, or the new registrant must change it immediately after or your contact information will still be associated with the domain. To change it, first log in. You should arrive at the Domain Management screen. 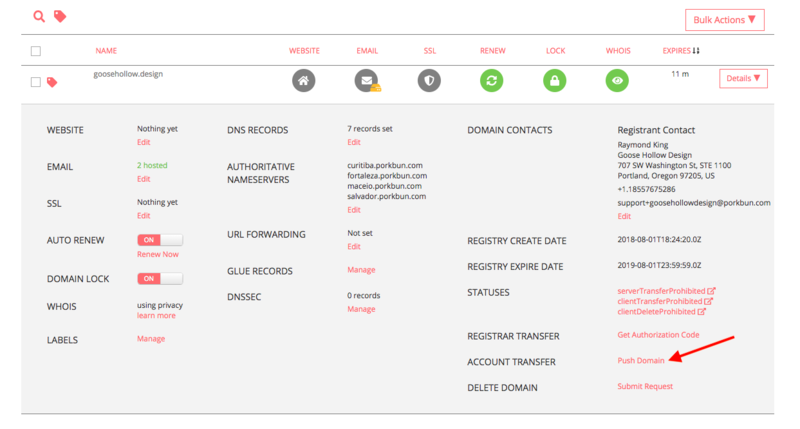 If you're already logged in, click the menu icon in the top-right corner and select Domain Management. Locate your domain. To the right of the domain, click the drop-down list and select "Edit" under Domain Contacts. Once your info is current, click Submit to apply your changes and return to Domain Management. Initiate the push. 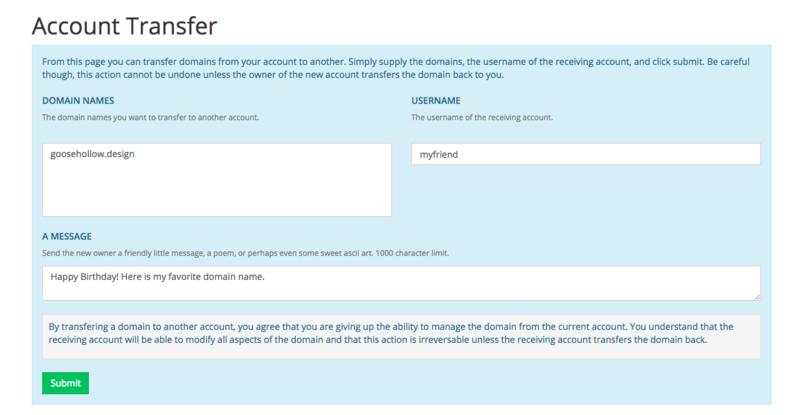 Under Details, select "Push Domain" next to Account Transfer. Once you're ready to submit the push request, click "Submit." They will need to click the "ACCEPT TRANSFER" link within 72 hours to confirm the transfer, or you'll have to start from scratch.